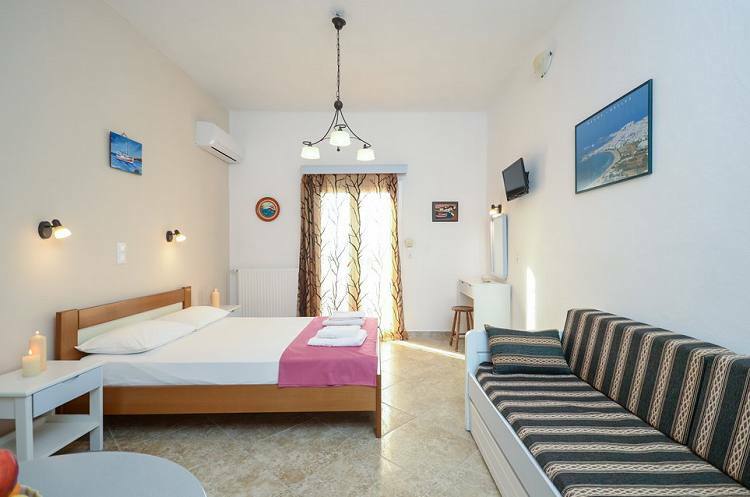 Sofia Studios is family owned and operated and provides comfortable studio living just 250 meters from the pristine sands and crystal blue waters of Agia Anna Beach. Each of our 11 studios is fully-equipped with air conditioning, television, microwave and refrigerator and is cleaned daily for your convenience and comfort. 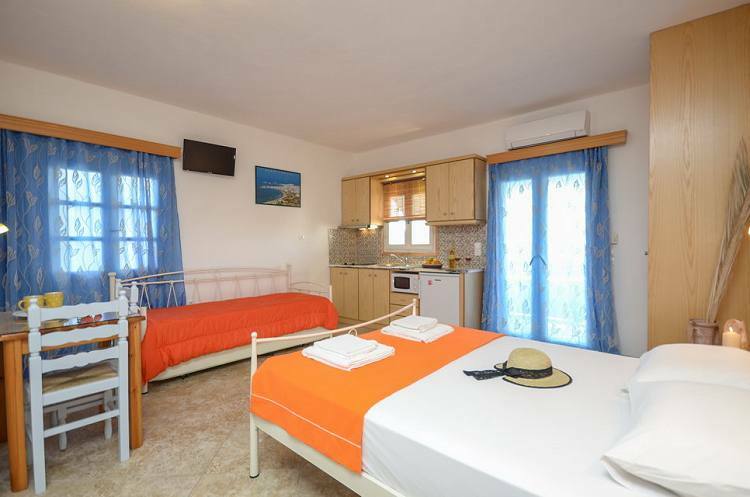 Studios Sofia offers very spacious rooms that can accommodate up to 4 persons. All the rooms are fully equipped, including self catering facilities. 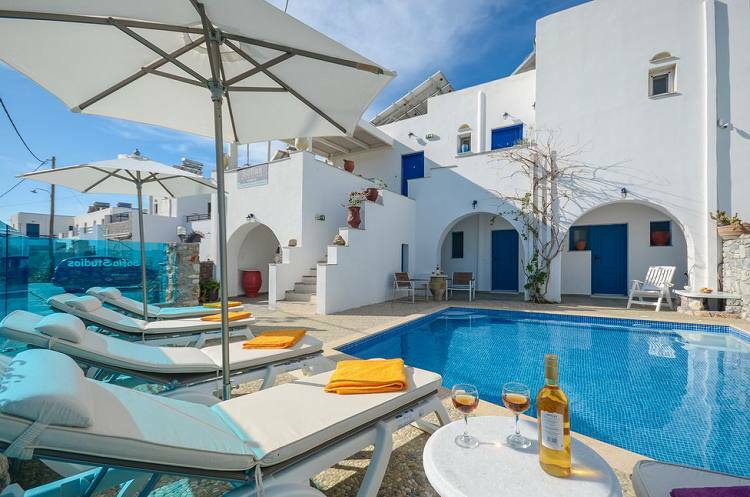 Most of the rooms offer beautiful view of the sea.